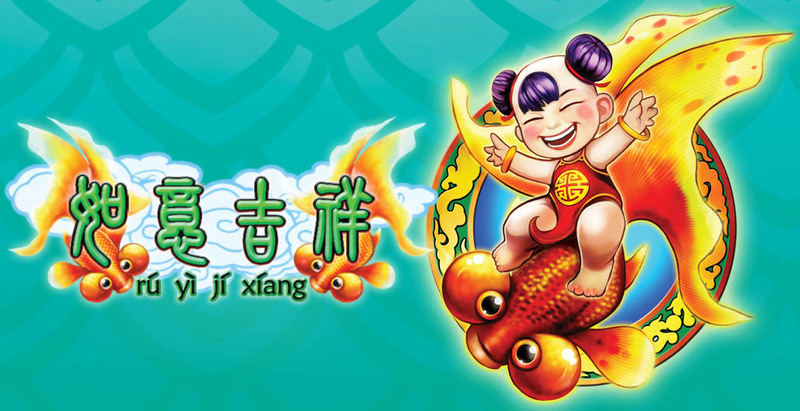 Prosperity and good fortune abound! Feel the joy and commotion in this extra auspicious game. The boy shall reward you with improved wins and multipliers. 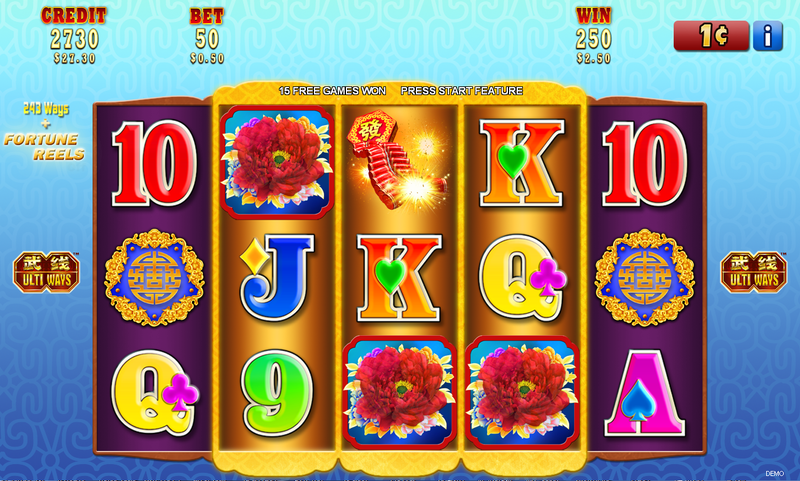 Celebrate the festive mood in this latest Fortune Reels Ulti-Ways title. 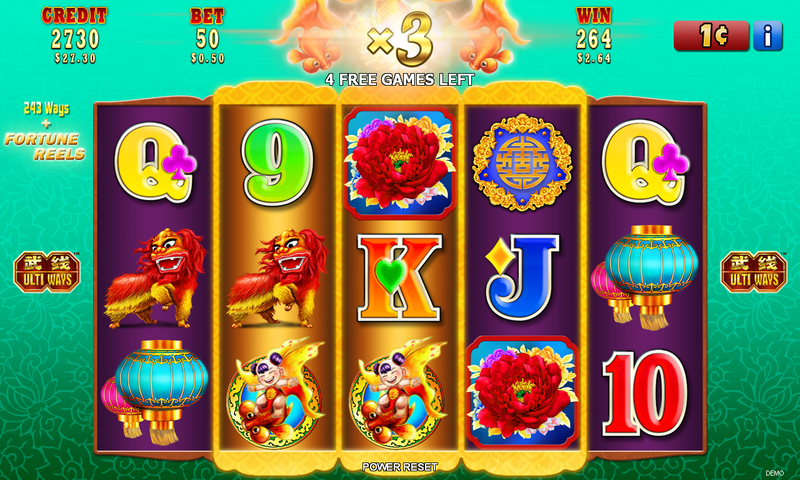 3 scattered [Flower] on reels 2, 3 and 4 trigger 15 free games. For every [Boy] which appears one of [Dimmed Fish Left/Center/Right] will changed to [Colored Fish Left/Center/Right] respectively above the reels before any wins are paid. If [Colored Fish Left/Center/Right] are shown and there is a win, then all wins in that free game will be multiplied by x3, x5 or x8. After the multiplier has been awarded and before the next free game [Colored Fish Left/Center/Right] will change to [Dimmed Fish Left/Center/Right]. When [+Fortune Reels] is played, symbols on reels 2, 3 and 4 may have a [Gold Background]. 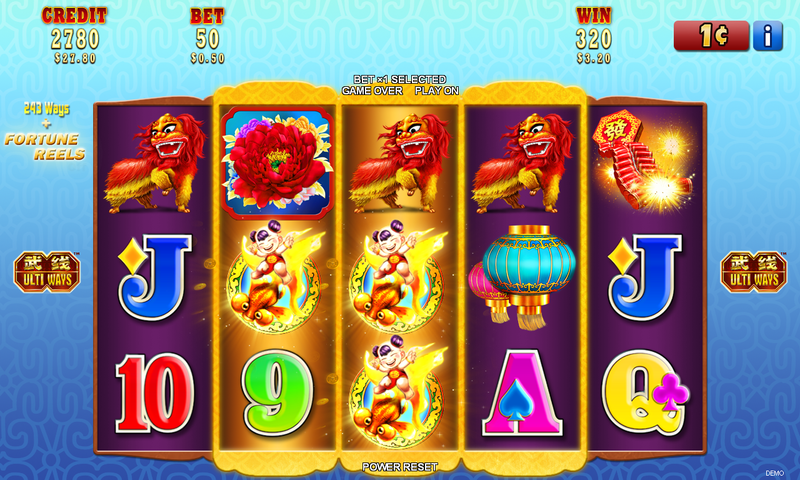 For each winning game when [+Fortune Reels] is played, immediately after all reels have stopped spinning and before any wins are paid, each winning symbols, except [Flower] with [Gold Background] on reels 2, 3 and 4 will transform to [Boy]. After all Initial transformation are complete, all wins on screen are then paid.